The memorial bench policy in Selsey is due to be discussed at a town council meeting this evening (Wednesday), following a letter from outraged residents. The Observer reported in December that dedications to loved ones on benches in Selsey could be removed unless families paid £600 to renew their 'ten-year lease'. Read more here. Selsey Town Council's (STC) asset and amenities committee has now added a discussion about the issue to its agenda for tonight's meeting, due to begin at 7.15pm at the town council offices in High Street, Selsey. A town council spokesman said: "STC has received correspondence from a few of the current holders of memorial dedication sites, raising queries regarding the current memorial policy. "It is right that the council, through its committee, should consider this and the issue has therefore been added to the agenda. "Allowance has been made under Item 8b to hear representations from members of the public on memorial seating." In the agenda, the council clerk did warn that the public may be excluded from the meeting prior to the memorial bench policy discussion. In a statement to the Observer, the spokesman clarified: "The committee will consider a confidential report on matters arising since the memorial policy was revised in March 2018 and will be able to take any representations made into account. "As the council has been threatened with legal action and the report contains some personal data, the committee may choose to debate this item in confidential session to protect the ‘public interest’. "In this case the public interest refers not to the interest of the public attending, but the wider public interest of the Selsey parishioners generally." The meeting comes after the town council, which said it 'holds the licence', sent out letters telling families the plaques and benches on East Beach could be sold on to other families if the money was not paid as 'everyone should get the opportunity to hold a dedication in this special location’, as part of its Memorial Bench Policy. As a way of 'challenging the legality' of the council's memorial bench policy, 12 of the memorial bench holders have sent the council a letter, outlining their concerns and intentions to start legal proceedings if the matter is not resolved. According to The Selsey Grapevine Facebook group, the introduction of a 'ten-year lease' for a memorial plaque was a recent ruling, and 'completely different' from the agreement the historical plaques were purchased under. In a Facebook comment on the Observer page, the group added: "The decision to resubmit invoices to the families who have already purchased theirs prior to March 2018, is not lawful or moral, and is quite frankly heartless." Dorothy Casserley, 71, who bought a bench for £500 in 2007 as a memorial for her parents, said the ordeal has had a ‘major affect on her’ and has left her 'nervous and upset'. Read more here. 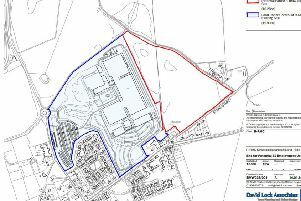 The town council said the ten-year lease was there in the interests of fairness, as there was a 'waiting list of 39 families wishing to apply'. What do you think about the plans? Are you one of the affected residents? Let us know at news@chiobserver.co.uk or comment on our Facebook page.